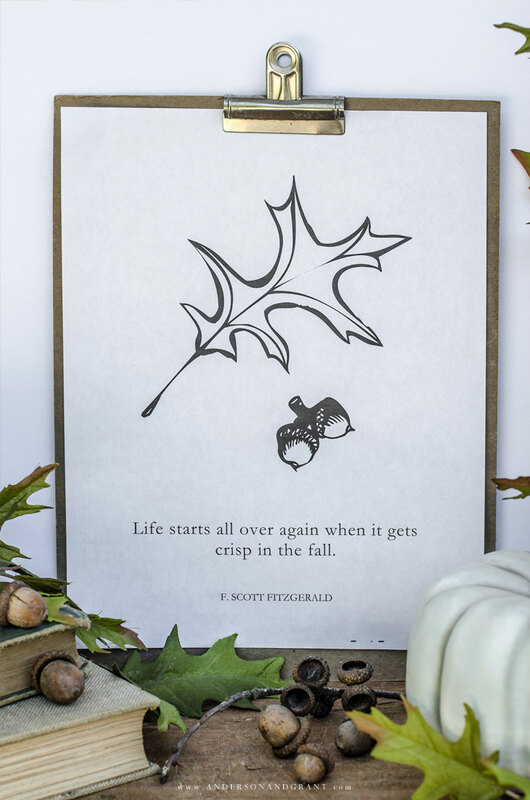 Obviously, F. Scott Fitzgerald must have had similar feelings of optimism concerning the autumn season. When Kristen from Ella Claire invited me to once again participate in her Fall Printables and Vignettes tour, I knew that I somehow wanted to incorporate all my favorite fall things.....the hope of a fresh start, oak leaves, and acorns. Each day I like to take a walk through my neighborhood partly because it is good exercise, but mainly because it is time to clear my mind and release the stress from the day. On these walks, my path takes me beneath some large old oak trees. It always fascinates me how strong and sturdy this species of tree is. 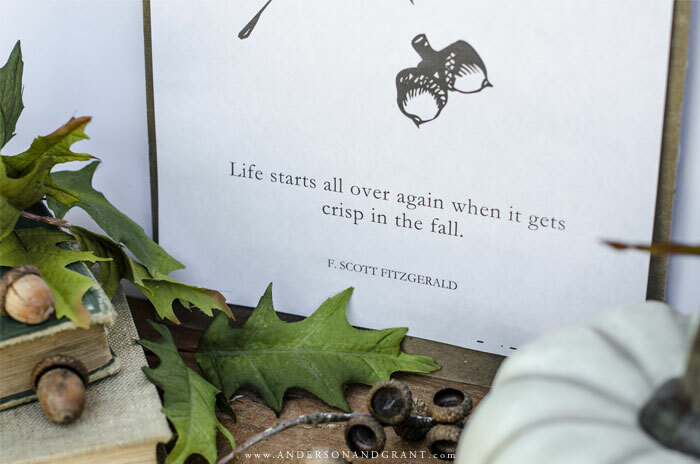 And when fall comes I love picking up acorns that I find along the road and gathering branches of leaves that have come down from the tree. Free fall decor I suppose. But these pieces of nature also remind me that we need that same strength and longevity in our everyday lives, relationships, and faith. There is a lot of meaning tucked into those little things that the tree is shedding. 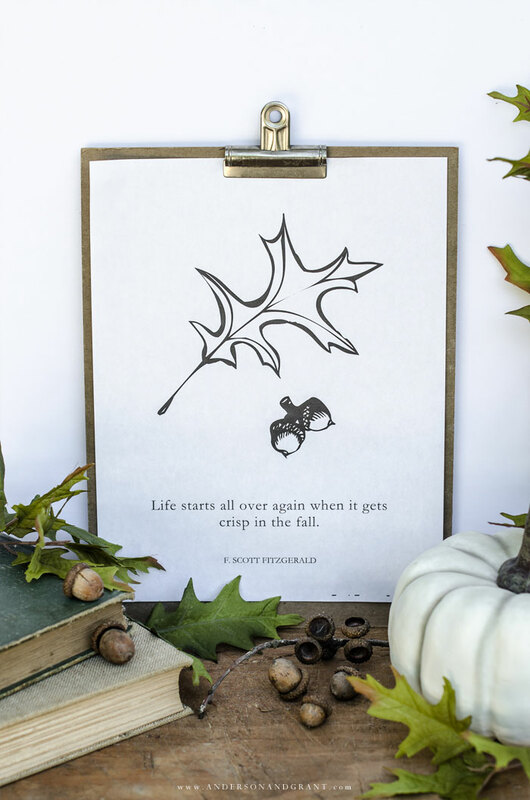 So my printable this year is simple, but I hope it can remind you that this season gives the opportunity to start fresh and that it is never too late to develop strength in the areas of life where you are weak. For best results, print them out on heavy card stock. 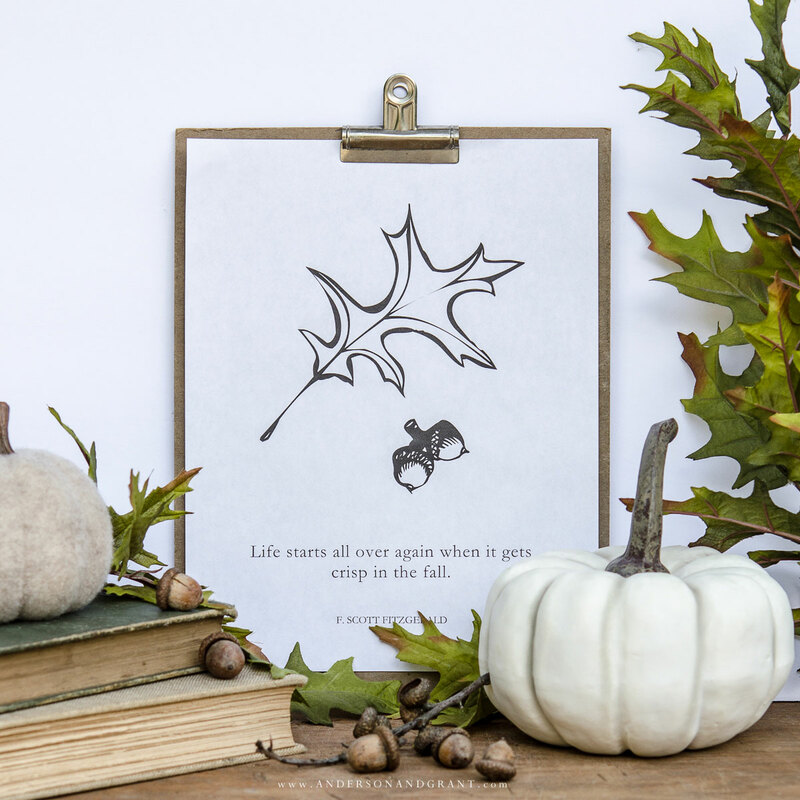 These printables are an easy way to add a touch of fall to your home without spending any money at all. 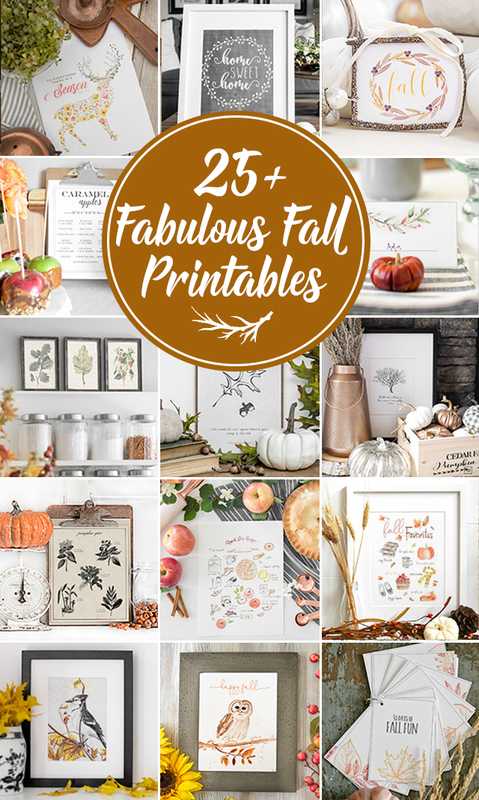 I'd love for you to visit some or all of my friends who have put their creativity to work making these printables for you to enjoy.